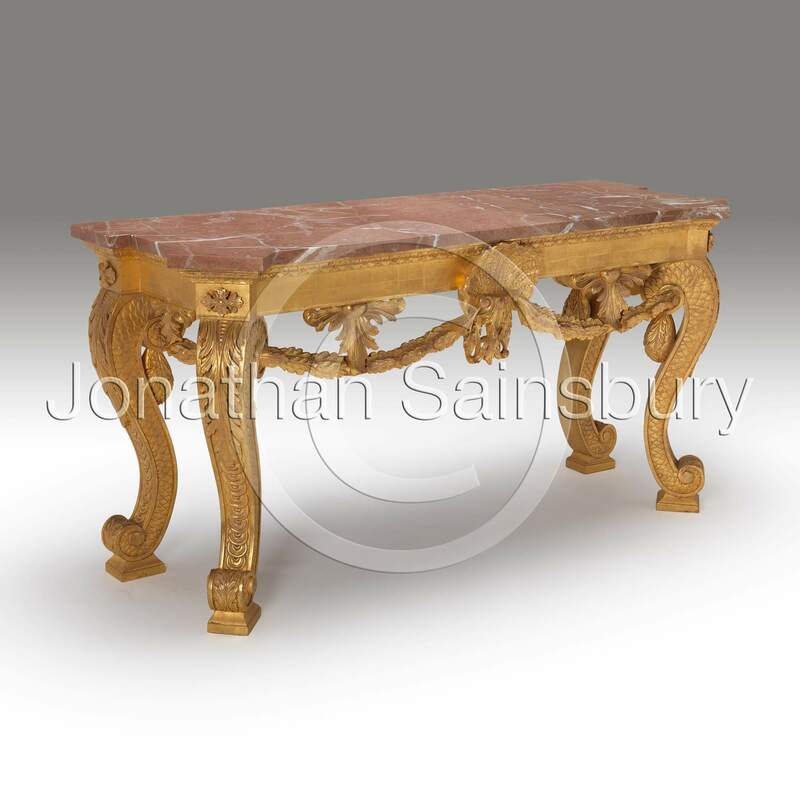 Based upon our William Kent console table and Booker mirror. An enlarged mirror and table made for vanity in a country house bathroom. 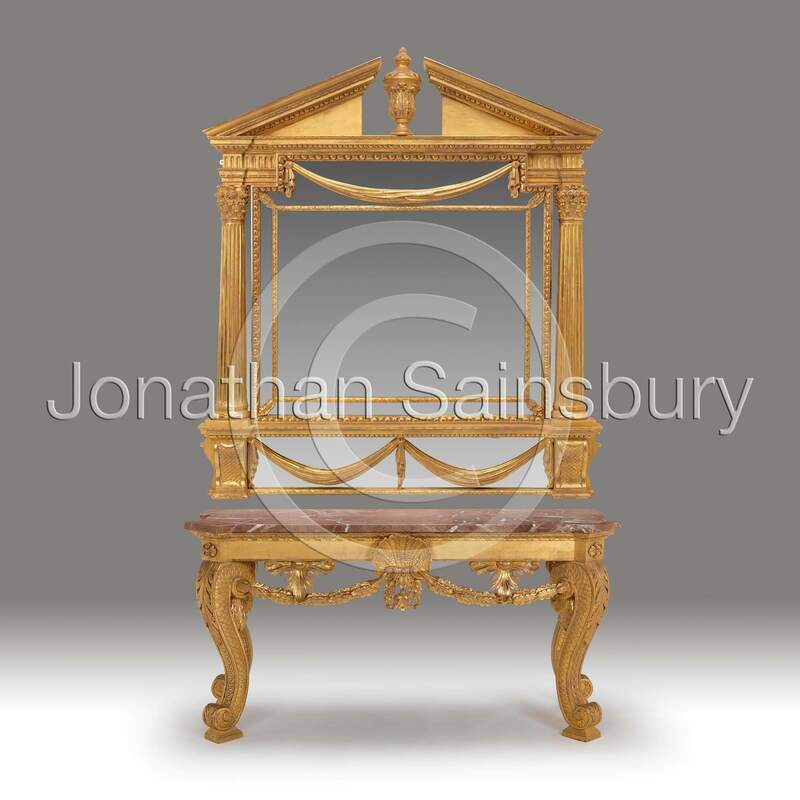 Finished in highly aged gilt with highly aged mirror glass.